Looking to grab a bite to eat and listen to live music in Herndon? Reston Now rounded up some spots where DJs and local bands regularly take to the stage. What’s on the menu: All of the bar food favorites (wings, nachos, pot stickers), all-day breakfast, pizza, pasta, burgers and sandwiches. Live music: Customers can listen to a live band from 8 p.m.-10:30 p.m. followed by a DJ on Saturdays There’s also karaoke Tuesdays, Thursdays and Fridays. Acoustic Mutiny, a four-person modern and classic rock band in Northern Virginia, perform on Thursdays from 6:30-8:30 p.m. with an open mic. What’s on the menu: Classic American bar food plus Irish fare, including corned beef and cabbage, chicken pot pie and fish and chips. Live music: A live band plays every Friday night. Huntley, a pop and blues singer, is set to perform on Friday (April 5), according to Sully’s Facebook page. What’s on the menu: A wide range of American diner food. Live music: The Folk Club of Reston/Herndon frequents the diner every Tuesday night at 7:15 p.m. with live music and an open mic. Their performances have a suggested $10 donation for members and $11 for nonmembers. What’s on the menu: American and Irish dishes. Live music: The pub has karaoke on Tuesdays, country line dancing on Thursdays and DJ HyRyze on Saturdays. Events and live music fill up its Friday nights. Washington DC-based rock band JunkFood is set to perform on Friday (April 5) starting at 10 p.m.
What’s on the menu: Mostly sandwiches, seafood and steaks. Live music: Open mic night is Wednesdays, which features local live bands and musicians. Diners can enjoy a DJ and dancing on Fridays and Saturdays. Live bands and DJs also perform on Thursdays. 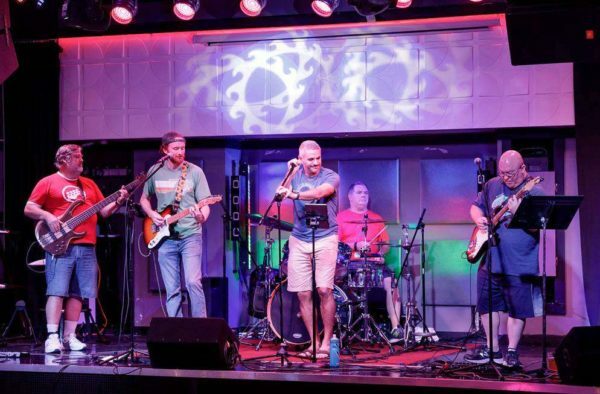 Rock cover band Rescue Squad is set to perform at 8:30 p.m. next Thursday (April 11) as part of a Feline Foundation of Greater Washington fundraiser.